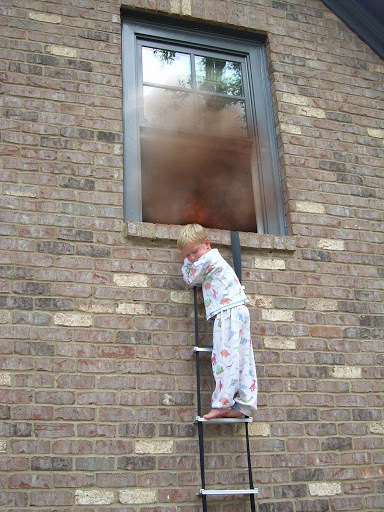 Residential fires happen hundreds of times a day – actually about every 80 seconds. 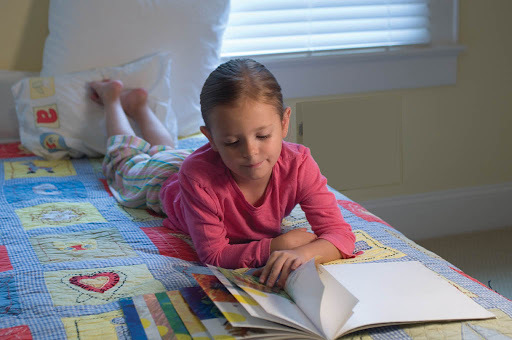 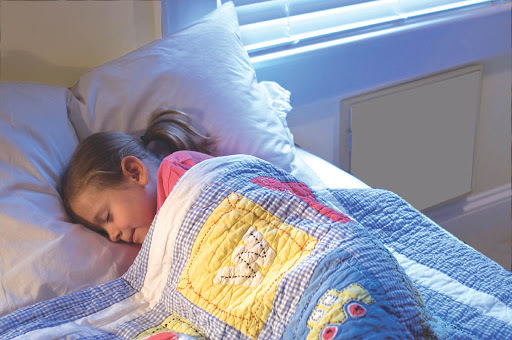 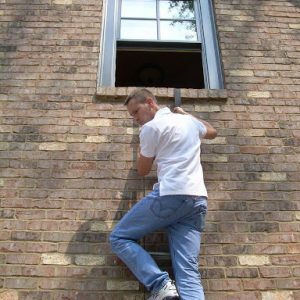 If you or a family member sleeps upstairs, how will you escape in the event of a fire, home invasion or other emergency? 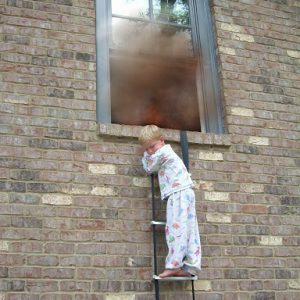 Any fire can be life-threatening and frightening. 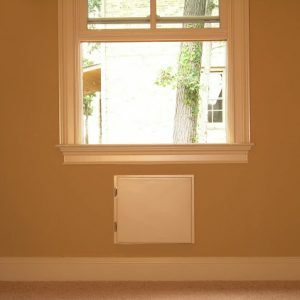 Fire doesn’t know how much money you make or how much your house is worth. 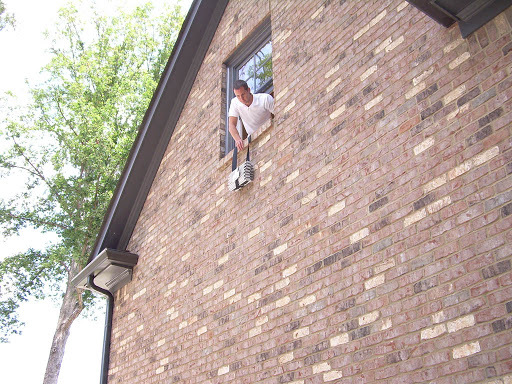 Fire strikes old houses, new homes and multi-unit buildings. 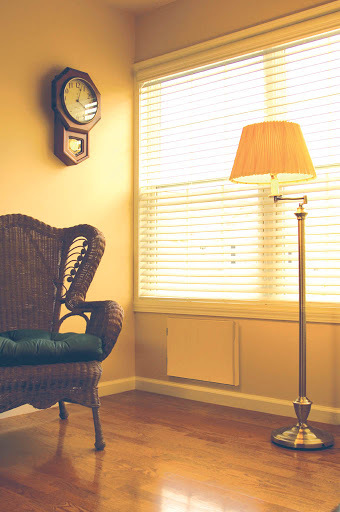 Have you ever left a candle unattended or left the room while food was cooking on the stove? 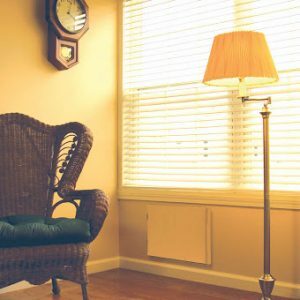 These are things you can personally control. But, how about those you can’t control–like an electrical short or a lightening strike in the middle of the night? 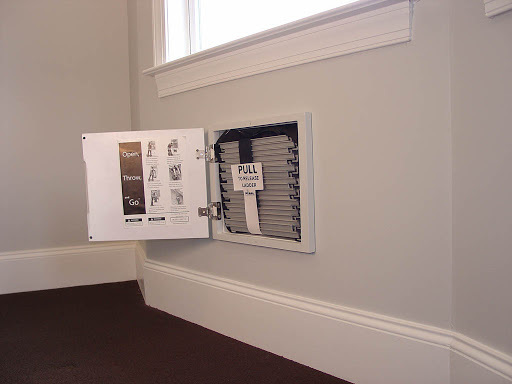 The small square cabinet and ladder recesses into the interior wall space beneath any second or third story window, so it’s always where you need it, when you need it. 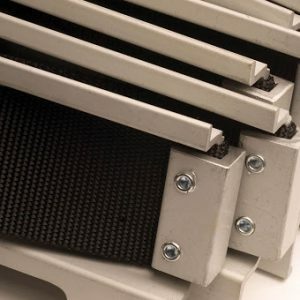 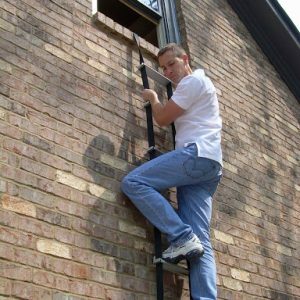 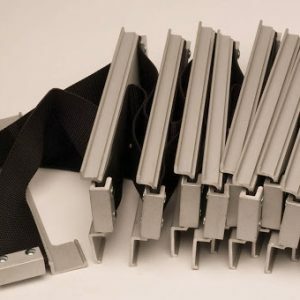 The high-tech engineering and materials make it the most reliable and easy-to-use emergency escape ladder on the market. 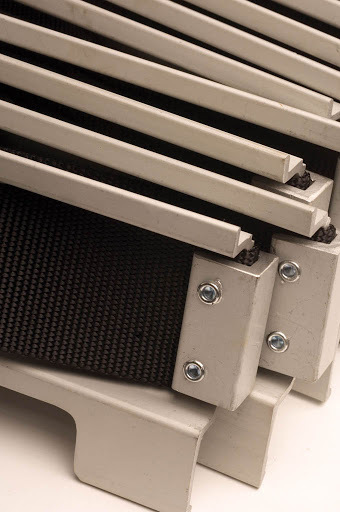 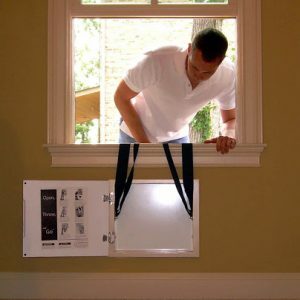 Strongest solution on the market supports up to 1,500 pounds allowing for more than one person to escape at the same time. 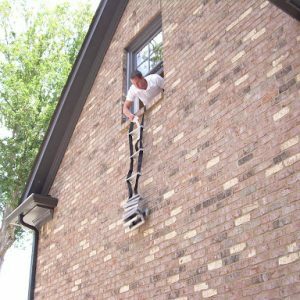 It can also support a firefighter in full gear to perform rescues. 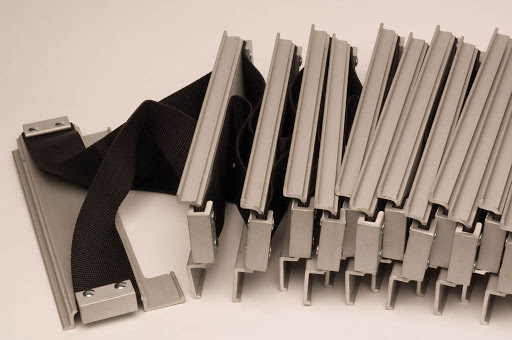 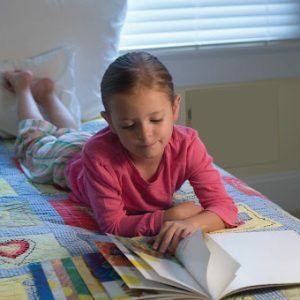 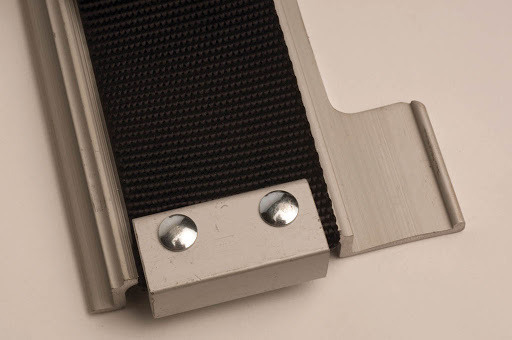 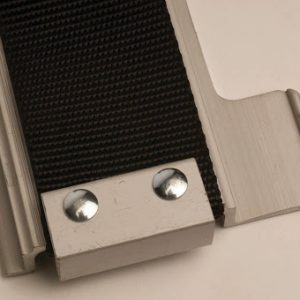 The ladder is child friendly with anti-slip rungs and standoffs so that little fingers can easily grasp each step and is light enough for a child to use in an emergency. 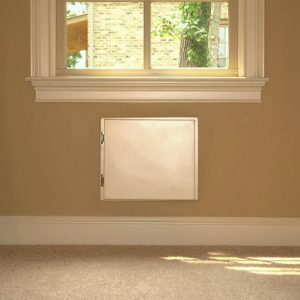 Long enough to accommodate a three-story home with a total length of 23’-8”. 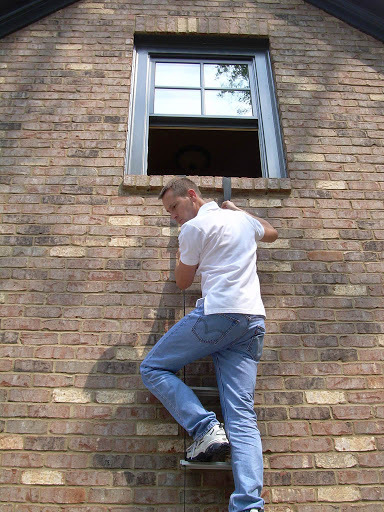 With a two-story home, extra rungs should be removed during the installation process. 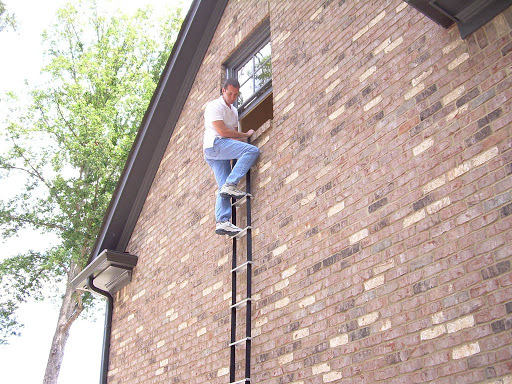 If the ladder is being used for a 2-story home, then the ladder can be sized to fit which would reduce the weight. 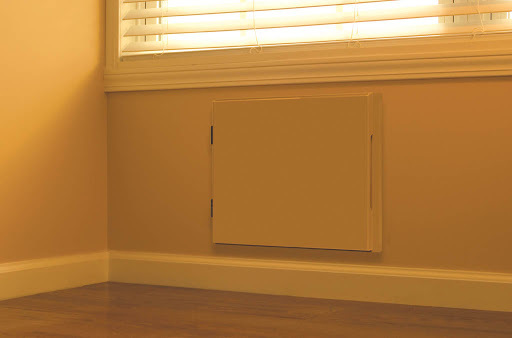 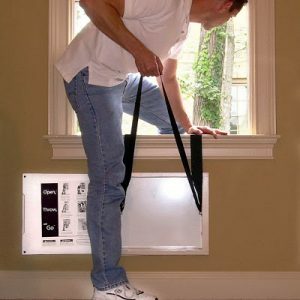 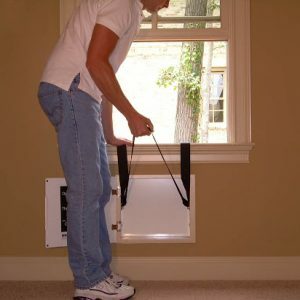 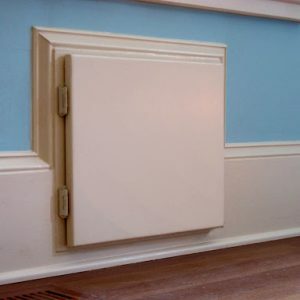 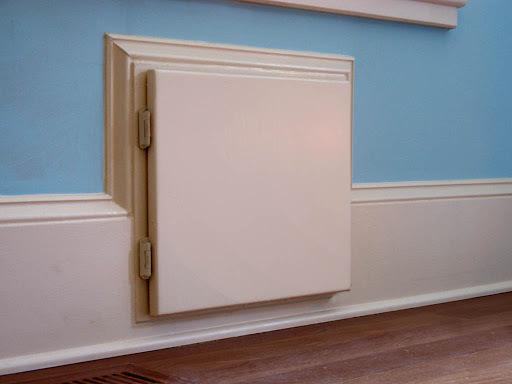 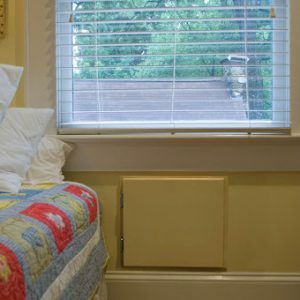 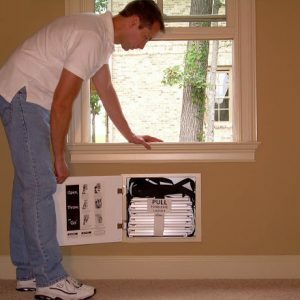 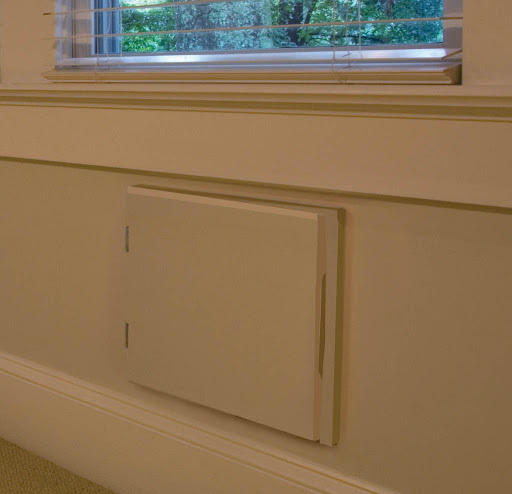 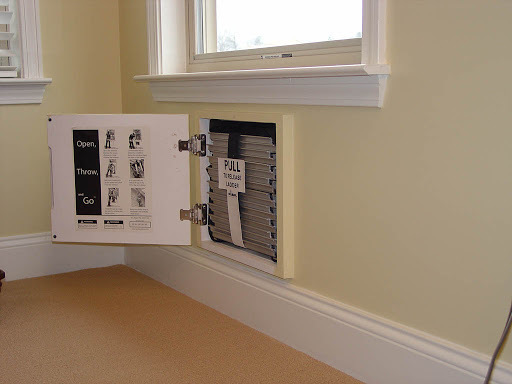 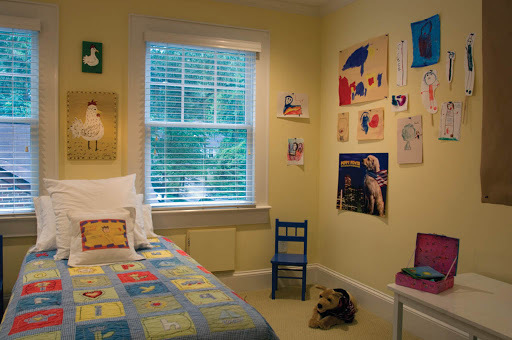 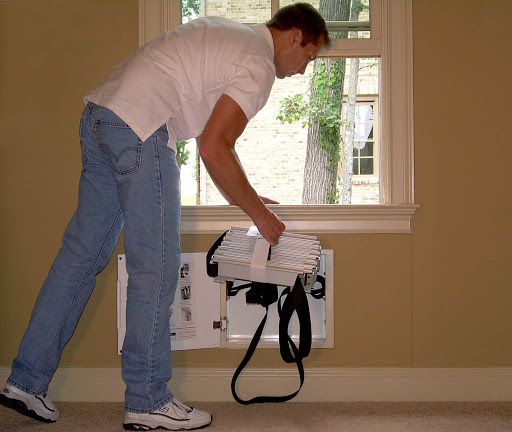 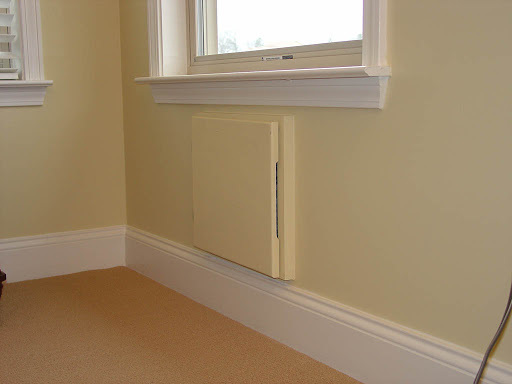 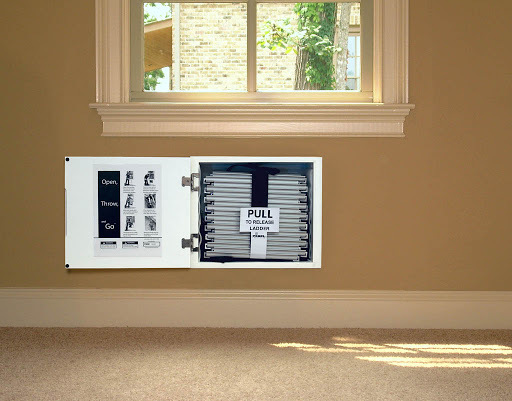 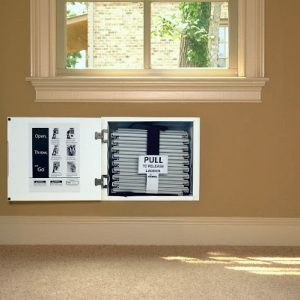 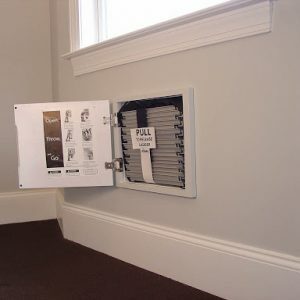 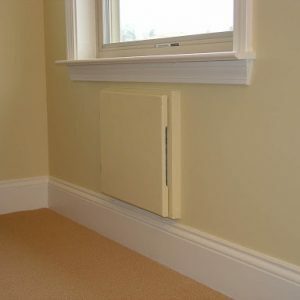 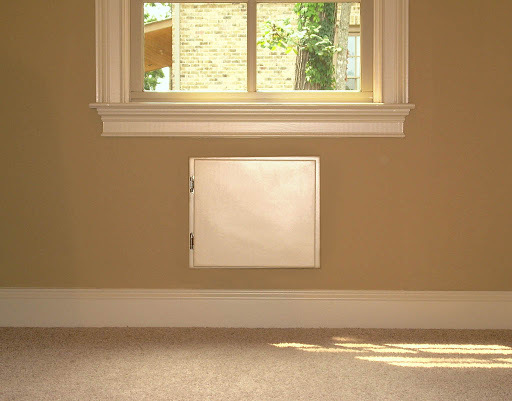 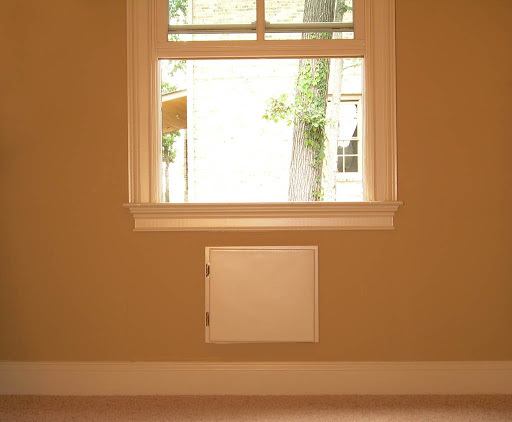 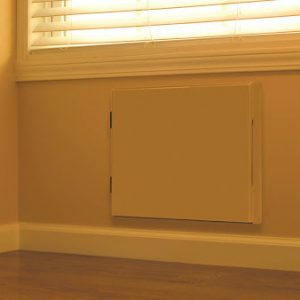 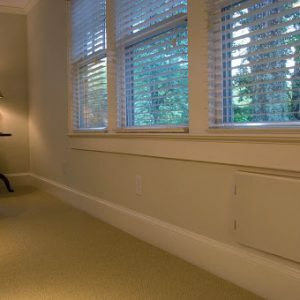 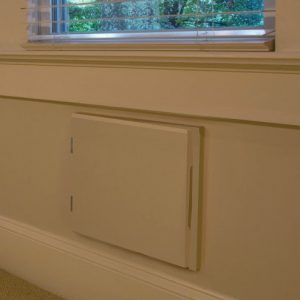 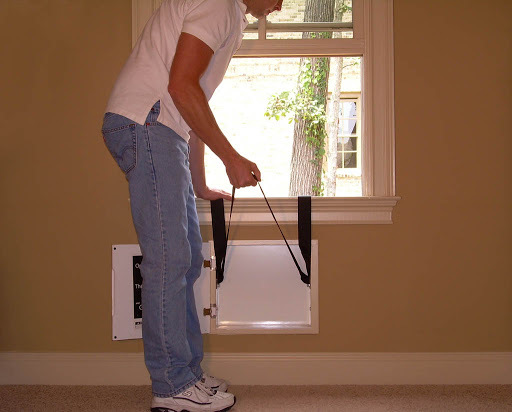 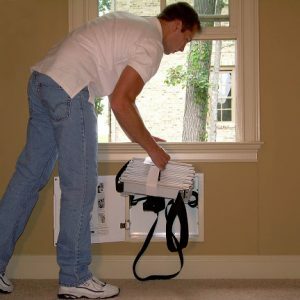 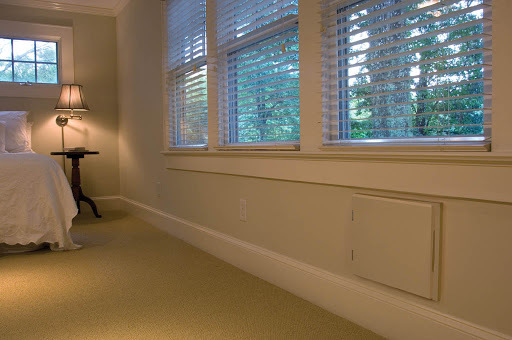 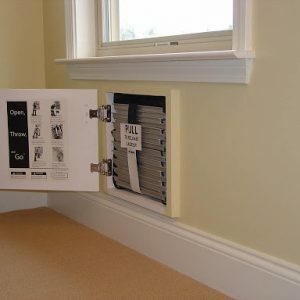 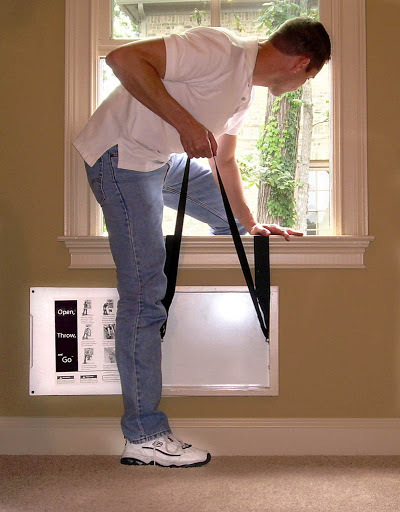 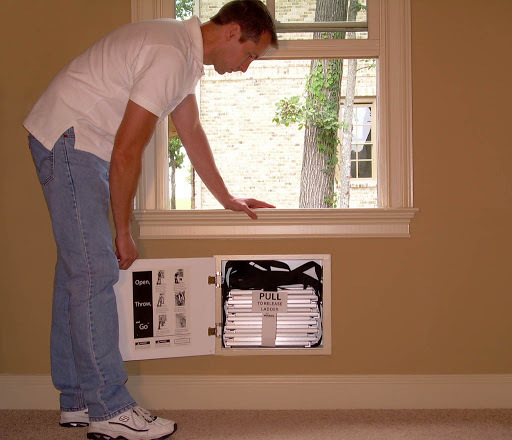 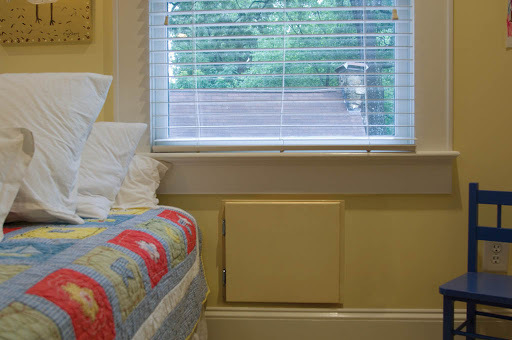 Installation requires a finished space of 14″ h and 16.5″ w beneath the window sill. 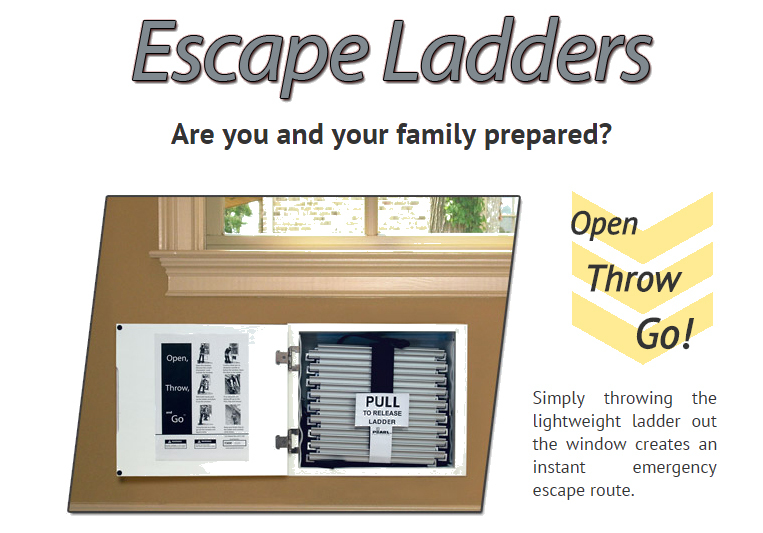 Emergency ladder repacks easily encouraging fire escape drills. 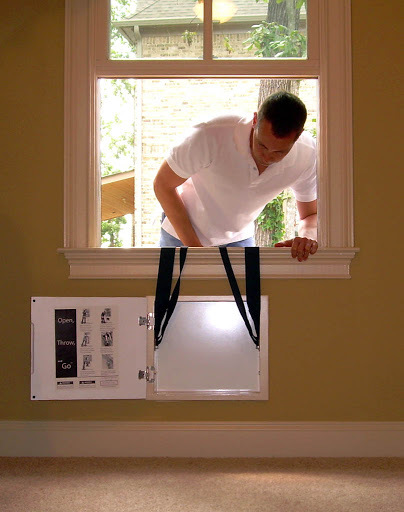 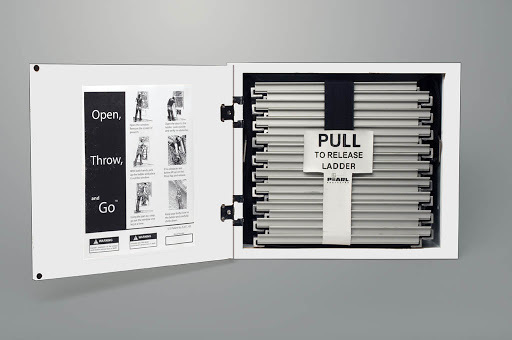 Firefighters from all over the nation have high regard for this innovative life-saving product; including emergency workers who have witnessed deadly tragedy first hand. 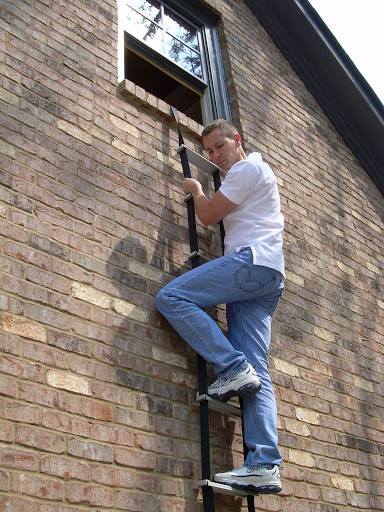 Our ladder is backed by a 15 year warranty.